LANDERS, CALIFORNIA; INTEGRATRON, IS CLAIMED TO BE ALIEN TECHNOLOGY! 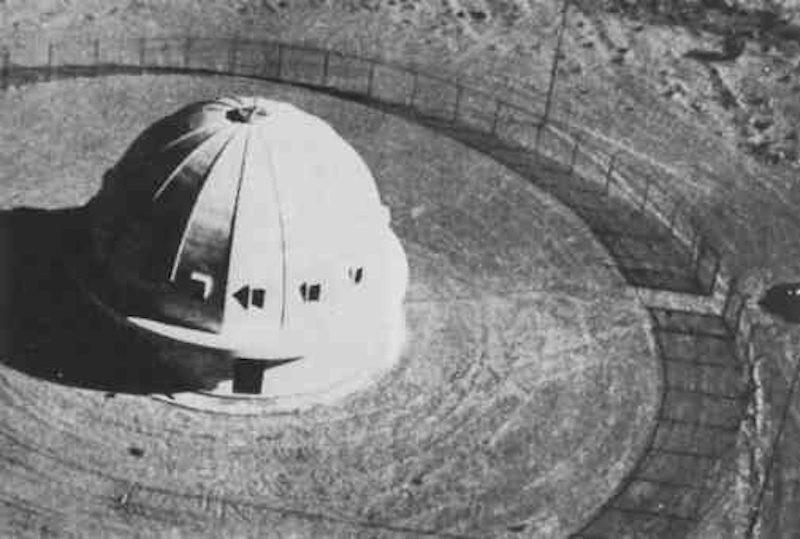 George Van Tassel INTEGRATRON is a machine that was intended to prolong life, by way of electronic rejuvenation. 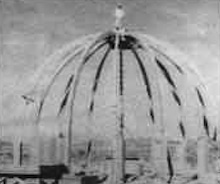 Van Tassel claimed to be an alien contactee, he stated that the Integratron technology was given to him from a Venusian in 1953. Yes this does reads as bogus, but there maybe something to this machine. The Integratron was supposed to be a circulating machine or circulating building, inside the large edifice was to be an electric field. The power generated was supposed to regenerate people that went into the building and stayed there for x amount minutes or hours. Electricity can do all kinds of things, we know very little about this energy. So maybe Van Tassel was not off the beam. Sadly Van Tassel died before the machine could be completed. His plans for the Integratron were not found, either they were stolen or he worked out this project in his head. The Integratron is a rather remarkable building, below are photos and data. 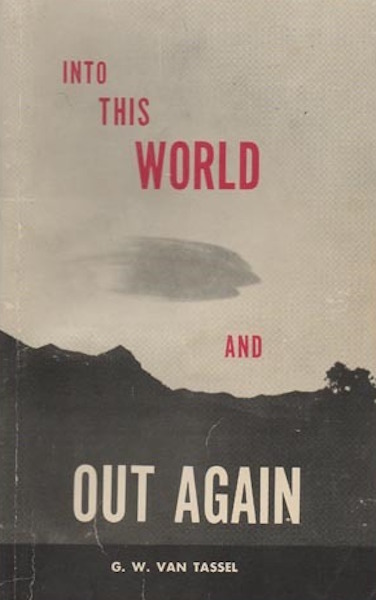 Depending on who you talk to, Van Tassel was either a genius, an alien contactee, a lunatic or crafty confidence man who fleeced the gullible of their money. 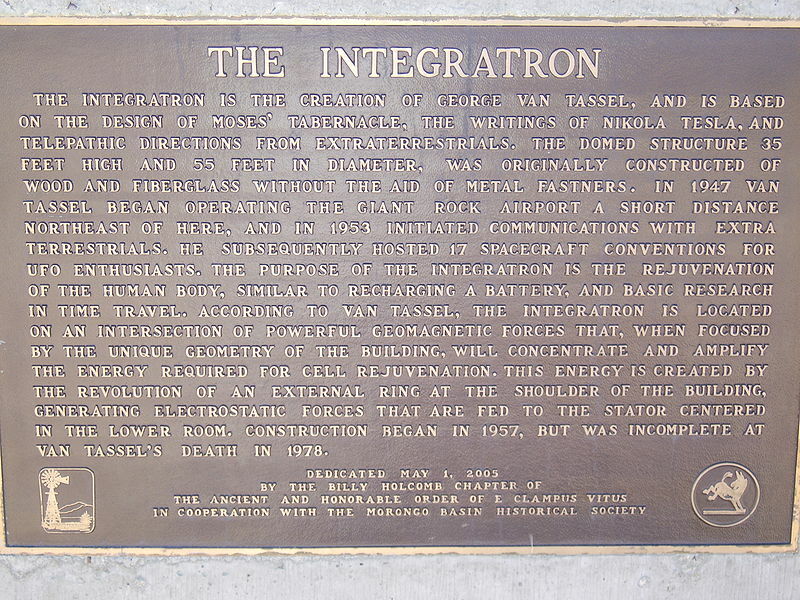 The naysayers claim that the vast majority of Integratron donations that were given to Van Tassel, were not used on the project. The money was used to fund Van Tassel's life of travel and good times. Van Tassel was and still is a controversial figure. 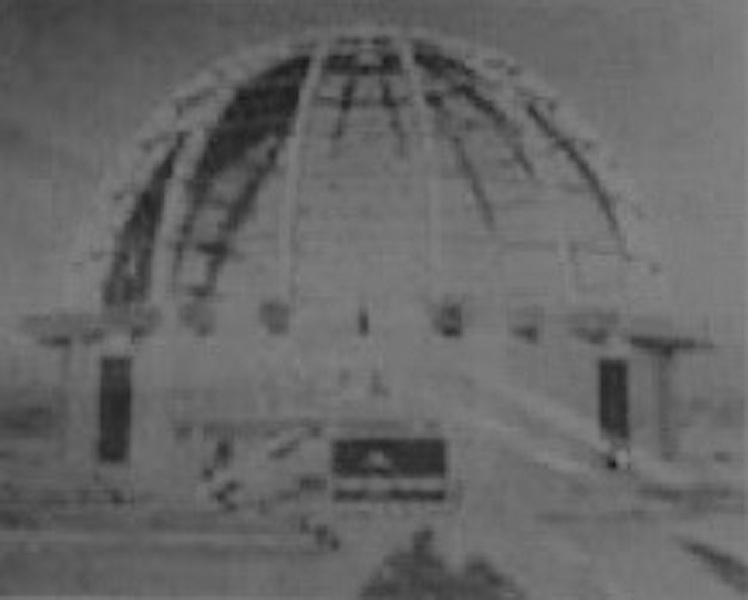 RIGHT: The INTEGRATRON under construction. BELOW: The Machine is being assembled, but it took years. When Van Tassel died in 1978, he was supposedly only weeks away from finishing up the final work on the machine. I think not. 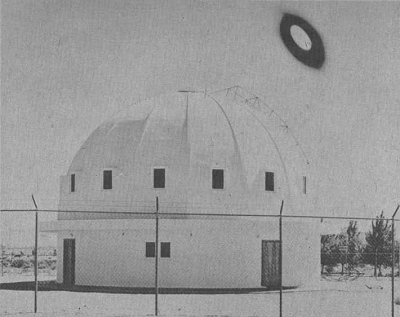 ABOVE: Year unknown, supposedly a UFO over Integratron. Is it a light flash, a flying saucer or damaged or tampered film? WHY, I think not? The Integratron was supposed its top part of turn at hight speed, this rotating roof was to be turned by pipes with air pressure. The pressure would be supplied an air compressor or many air compressors. I would think many air compressors would be needed, by how big the structure was. 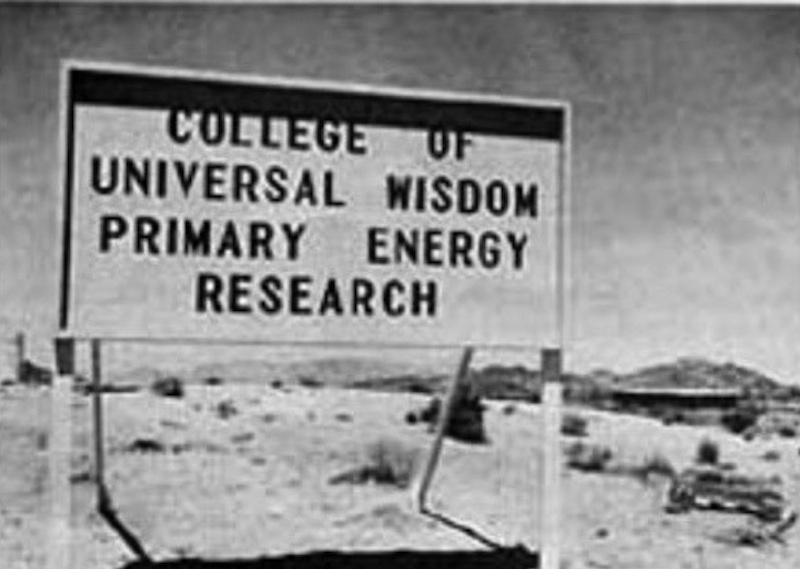 I have yet to see in the 1960s, 1970s, (1978 is when Van Tassel died) that there was a large power shop that would house the compressors. With Van Tassel's death work on the machine came to an end. The Integratron was mainly built of wood without any nails. The Integratron supposedly, could be turned into a time machine, by way of the electric field that would be generated in and around it. Some people think the time machine aspect, concerned itself with the healing of people. As in people who were inside the rotating building would be given more life by way of how their human's cells were recharged by way of electricity. 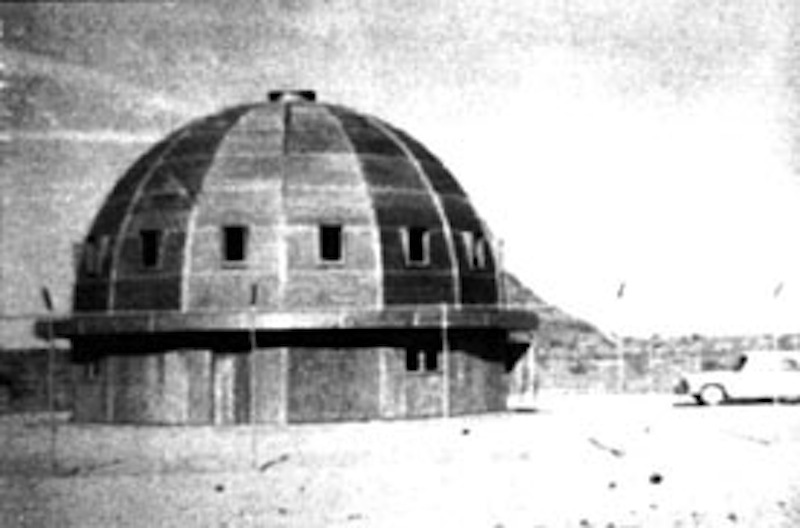 Some eccentrics think that the INTEGRATRON was a time machine, or they draw a blank on what the machine was really going to be? The INTERGRATRON was built of wood, very little steel, no nails, some metal coil wires. It was a bit similar to how HOWARD HUGHES built the SPRUCE GOOSE. It is of note that HUGHES used to fly into GIANT ROCK AIRFIELD and have pie + coffee and visit with his ex employee VAN TASSEL. Did the duo exchange secrets? Supposedly H.H. was very interested in UFOs and his companies were fronts for the CIA. One story, and is it truth or exaggeration, is that VAN TASSEL had been the private pilot of HOWARD HUGHES. I have no idea if the words on the above sign are photo shopped -- tampered -- fake-- or legit? I think they are legit. TO DODGE TAXES, VAN TASSEL TURNED HIS ENDEAVORS INTO A NON PROFIT ORGANIZATION. ON PAPER THE UFO CONVENTIONS BUT MAINLY THE INTERGRATRON WAS LABELED A PLACE OF LEARNING AND FAITH, etc. RIGHT: A plaque that commemorates the INTERGRATRON. Some of the info is a little off. Through the decades the land around the Integratron has changed a lot. I can remember when the area around the odd building (1960s and 1970s) was desolate. Today there are houses and a number of roads that flank the Integraton. 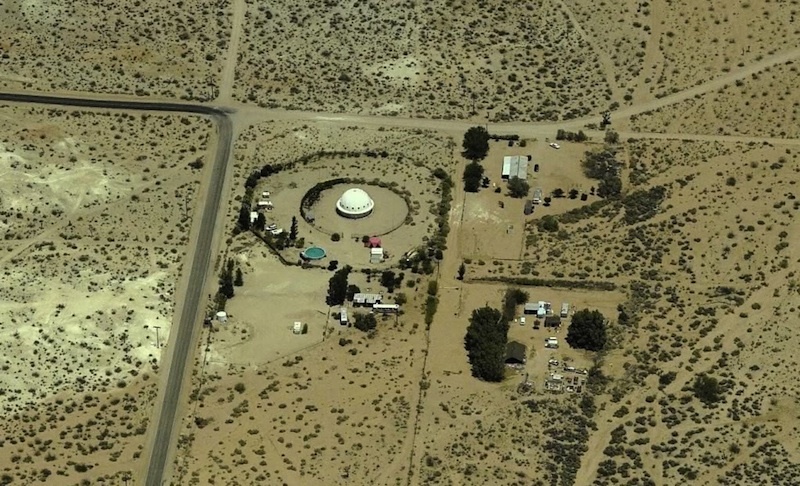 BELOW is wonderful video, an aerial view of the Integratron. Van Tassel's building was somewhat cannibalized after his death. The place was sold a number of times, today it is a sound bath building. 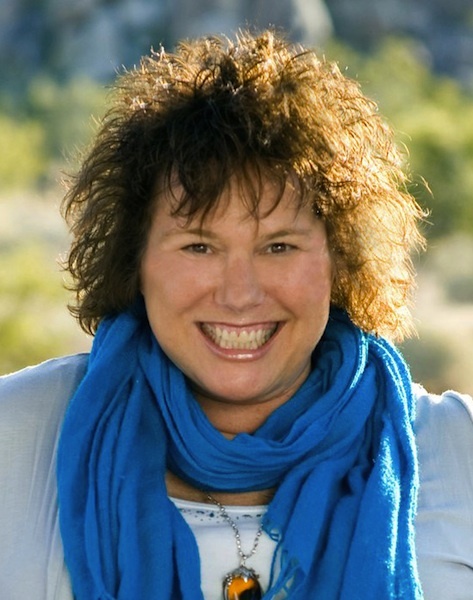 RIGHT: A pretty good program on THE INTEGRATRON that features BARBARA HARRIS. At the 35 minute mark, Harris gets on the show, darn good info. Her segment ends at 2:30 mark. RIGHT: Harris loves the INTEGRATRON and GIANT ROCK haps as much as I do. BELOW: George Van Tassel is interviewed in 1964. The broadcaster is rude but there is some odd but interesting info in the B/W program. BELOW: A SHORT DOCU ON THE INTEGRATRON THAT WAS MADE CIRCA 1980, THE SOUND IS BAD - BARE WITH IT. 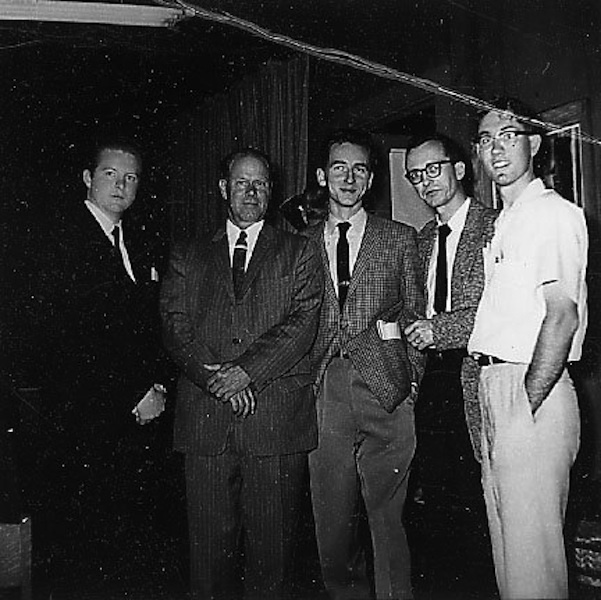 Depending on the source, Van Tassel got all his info on the INTEGRATRON in 1953, or that other bits of info came to him through the years by way of meditation or mind meld. It is a fact from 1953-1978, Van Tassel hunted $ and worked on the project. In 1978 he claimed he was around 3 weeks away from finishing it, or it was %90 ready. Confident in his machine VAN TASSEL attested that he was going to be the first man into the machine, but then he died. 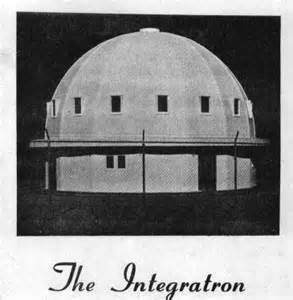 In my opinion, unless Van Tassel was going to bring in many portable large compressor trailers, the Integratron could never have been powered up, because, there was not enough compressors on the site to get the machine to work. 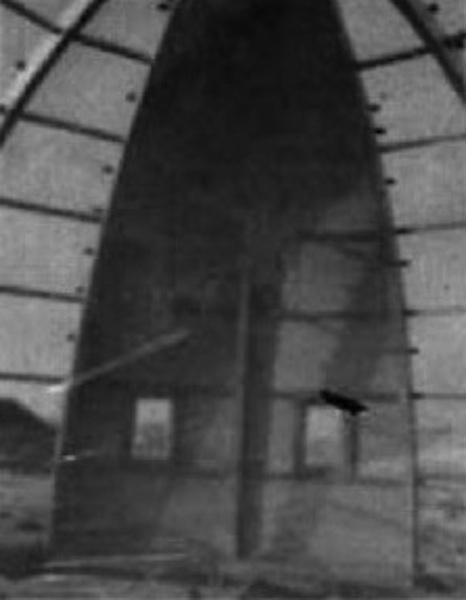 His plan was to have 50,000 volts of electricity in a field above the 1st floor, the twirling cupola was to be forced by way of tubes powered by air pressure from compressor power. There is not much info on Van Tassels' death, he died in a Santa Monica, California hotel room from heart attack. Conspiracy people think he was silenced. The Heart attack story was a cover for something else that happened to him. Or some type of poison or device gave him a heart attack. Hmmm? Eva his first wife had died in 1975. 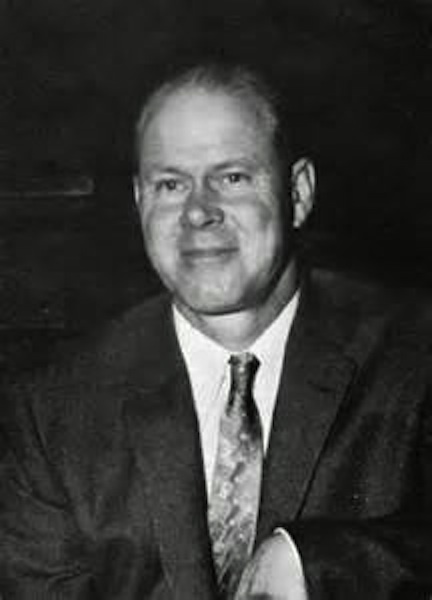 At the time of Van Tassel's February 1978 death, he was married to a chiropractor. 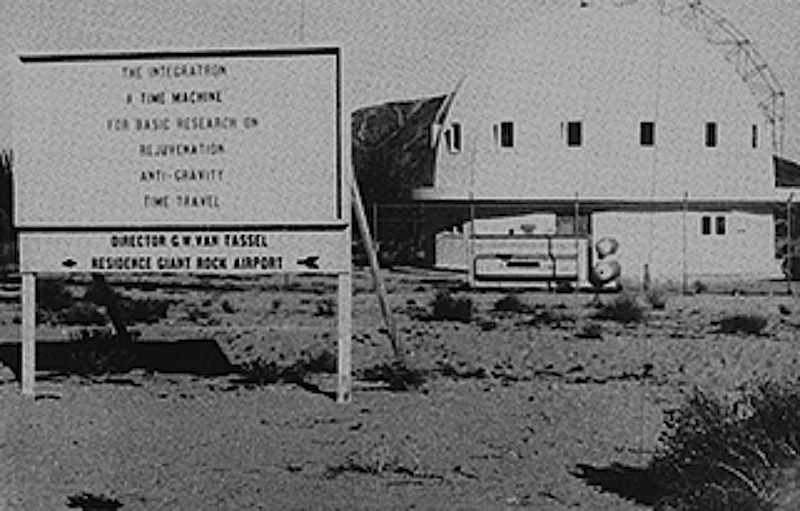 SO what became of the Integratron plans, were they really all in VAN TASSEL mind? Because none were ever found. 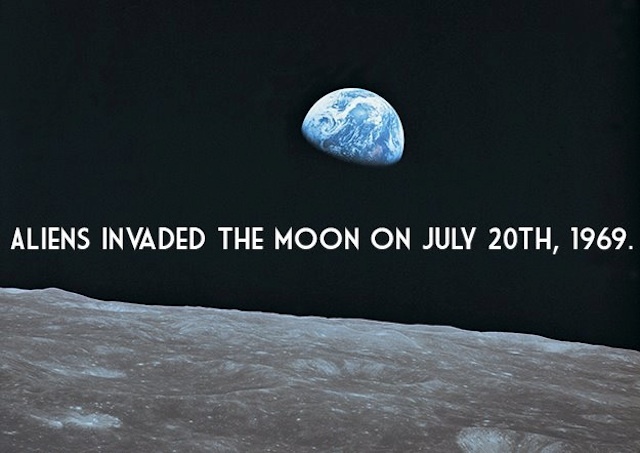 Were they taken, destroyed, or again, there never were any? BELOW: THE BEST AEIRAL FOOTAGE OF THE NOW ABANDONED "GIANT ROCK" -- WITH OUT THIS PLACE THERE WOULD HAVE BEEN NO -- "INTEGRATRON". 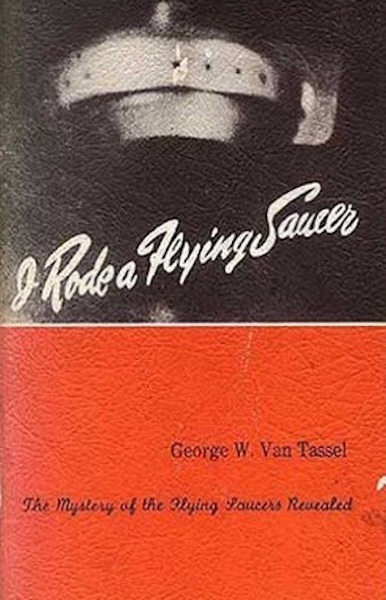 VAN TASSEL DID TRY TO EXPLAIN HIS THOUGHTS, KNOWLEDGE, & EVENTS IN THE FOLLOWING BOOKS. THE GIANT ROCK - LANDER, CALIFORNIA --UFO CONVENTION PAGE-- CLICK HERE -- THE PAGE YOU ENTERED THROUGH.